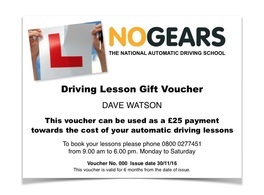 Payments on the day of your driving lesson should be paid by cash only. Please note that we do not accept cheques. Alternatively you can pay for your lessons in advance using a debit card or credit card by using our WorldPay facility. Please note that credit/debit card transaction fees will be added to your lesson payment of 7.5p per transaction and 1.5% of the value of the transaction.